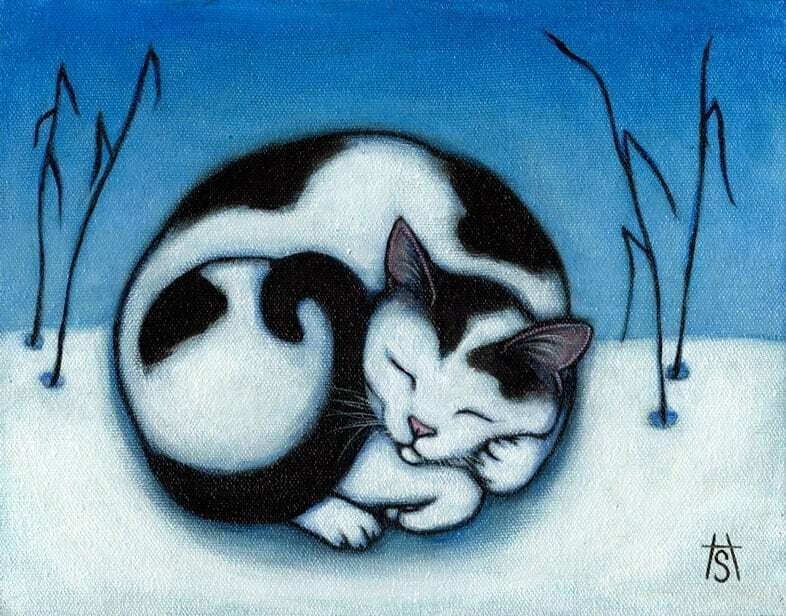 Black and White cat print from original painting. Peace. This is a reproduction from one of my original oil paintings.